In March of 2016, the Governors Highway Safety Association (GHSA) published its annual Spotlight On Highway Safety report, which projected a shocking 10 percent increase in the number of pedestrians killed in traffic fatalities compared to the previous year, marking the largest year-to-year increase in pedestrian fatalities since the founding of the Fatality Analysis Reporting System in 1975. Authored by Richard Retting and Dr. Heather Rothenberg of Sam Schwartz Consulting, the report studied preliminary data from all 50 state highway safety agencies in the United States, as well as the District of Columbia. 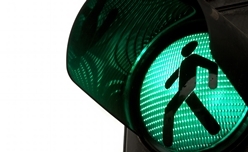 Pedestrian safety is a problem that's growing all throughout the United States, according to Retting. The preliminary data studied for the report found that, while 2,232 pedestrians were killed in traffic accidents in the first six months of 2014, 2,368 pedestrians were killed in traffic accidents in the same period in 2015. Retting and Rothenberg adjusted for anticipated underreporting to arrive at the 10 percent increase in projected deaths. Additionally, while pedestrians accounted for 11 percent of motor vehicle accident-related deaths a decade ago, that number now stands at approximately 15 percent. An increase in motor vehicle travel caused by lower fuel prices and an improving economy. The prevalence of cellphone use among both pedestrians and motorists. An increase in individuals walking for health or environmental reasons. According to the report, the majority of traffic accident-related pedestrian deaths occurred in states with large and heavily-populated urban areas, such as California, which, along with Texas, New York, and Florida, accounted for 42 percent of all the pedestrian deaths that occurred from January to June 2015. If you are a pedestrian who was hurt in a car accident caused by a motorist's negligence, you may be wondering how you'll pay your bills while struggling to recover from your injuries. Contact Steinberg Injury Lawyers for a free evaluation of your case to determine if pursuing compensation for your injuries is right for you.